Maintaining healthy teeth is an important concern for our local San Jose dental patients. As your Doctor, I’m committed to helping you care for your teeth and keep them healthy. Everyone knows that maintaining healthy teeth requires thorough daily brushing and flossing. Regular visits to your local San Jose dental practice is also necessary for preventing cavities and maintaining proper dental hygiene. We typically forget that maintaining a healthy diet can also be beneficial to your teeth. A diet that includes foods that help your muscles and bones will also help you develop healthy gums and healthy teeth. Examples of local San Jose foods to include in your diet include foods rich in vitamin B such as breads and cereals. Foods rich in vitamin C, usually fruits and vegetables, help improve the health of your gums. Zinc and magnesium are also good for the health of your teeth and are found in foods like lean beef, fish, and poultry. Saliva is essential to healthy teeth because it aids in maintaining the pH balance in your mouth. Foods high in fiber also encourage saliva production as does the chewing of sugar-free gum. Gum, however, can damage unhealthy teeth or pull out dental fillings, so always use caution when deciding whether to chew gum. Just as certain diet choices in the San Jose area can be beneficial to the health of your teeth, others can be dangerous. Foods and drinks that are high in sugars – especially soda and energy drinks – are more likely to form the acids that attack your teeth and result in decay. And while table sugar is often associated with the formation of cavities, other sugars such as glucose, fructose, and maltose are also causes, and are often found in juices and sodas. Limiting the consumption of sugars to mealtimes lessens the amount of time your healthy teeth are exposed. Making good diet choices and limiting between meal sugar consumption can improve the health of your teeth and gums. If you would like to learn how to better care for your healthy teeth in the San Jose area, contact Wes Yemoto Esthetic Dentistry at 408-266-9957. We would love to hear from you. 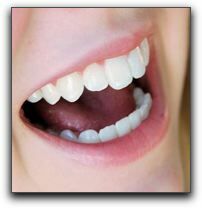 Affordable Teeth Whitening In San Jose?